Preventable Tragedy? Edwin Gonzales-Urbina Killed in Richmond Restaurant Shooting. Did a security failure contribute to the tragic loss of Edwin Gonzales-Urbina and are justice and compensation available to Mr. Gonzales-Urbina’s family? Security measures are under scrutiny after gunfire erupted at a Richmond, Virginia restaurant Thursday, February 14, 2019, killing one man. No arrests have been made according to the media outlets. Restaurant patrons have a right to feel safe and secure while on the premises. The Murray Law Firm questions the level of security provided on the property and whether this tragedy may have been prevented. Was there any suspicius activity prior to the shooting? 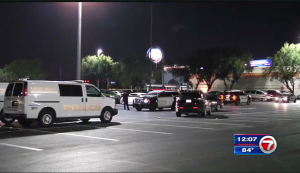 What security measures, such as bright parking lot lighting, surveillance cameras, and security patrols, were in place to deter crime and protect Mr. Gonzales-Urbina at the time of the shooting? Generally, property owners are required to protect all those legally on the premises from any foreseeable harm. Should the facts of this matter reveal that the restaurant owners failed to provide adequate security to protect those on its premises, the family of Edwin Gonzales-Urbina may seek justice and elect to pursue legal claims for their loss. Based upon its prior successful experience in handling security negligence claims on behalf of victims and their families, The Murray Law Firm suggests that photographs and a thorough, unbiased inspection of the property will need to be performed immediately, before any evidence may be repaired, damaged or destroyed. Given the complexities of pursuing a negligent security case, it is imperative that Mr. Gonzales-Urbina’s family retain an experienced attorney who can ensure the preservation of any and all evidence that may support such a claim. Preventable Tragedy? Eric Hernandez Killed in Phoenix Parking Lot Shooting. Did a security failure contribute to the tragic loss of Eric Hernandez and are justice and compensation available to Mr. Hernandez’s family? 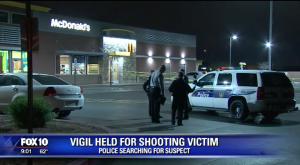 Gunfire rang out in Phoenix, Arizona Wednesday night, February 13, 2019, leaving one man shot and killed. According to AZCentral.com, “Eric Hernandez, 34, was outside a…restaurant near 19th Avenue and Baseline Road when about 8 p.m. a man approached him and asked to borrow his cellphone.” The news story alleges “Hernandez gave his cellphone to the man, who then ran away with it.” Mr. Hernandez chased the suspect and according to Fox10Pheonix.com, “that’s when the suspect turned around and shot Hernandez.” Mr. Hernandez later succumbed to his injuries at a nearby hospital the news story reports. Media outlets report that a suspect has been identified and authorities are asking the public for help finding the suspect. What security measures, such as bright parking lot lighting, surveillance cameras, and security patrols, were in place to deter crime and protect Mr. Hernandez at the time of the shooting? Generally, property owners are required to protect all those legally on the premises from any foreseeable harm. Should the facts of this matter reveal that the parking lot owners or management failed to provide adequate security to protect those on its premises, the family of Eric Hernandez may seek justice and elect to pursue legal claims for their loss. Based upon its prior successful experience in handling security negligence claims on behalf of victims and their families, The Murray Law Firm suggests that photographs and a thorough, unbiased inspection of the property will need to be performed immediately, before any evidence may be repaired, damaged or destroyed. Given the complexities of pursuing a negligent security case, it is imperative that Mr. Hernandez’s family retain an experienced attorney who can ensure the preservation of any and all evidence that may support such a claim. Artis Dewayne Holt, 27, Killed in Liberty Road Parking Lot; Preventable Tragedy? Did a security failure contribute to the tragic loss of Artis Dewayne Holt and are justice and compensation available to Mr. Holt’s family? Gunfire rang out in Milford Mill, Maryland late Thursday night, February 21, 2019, leaving one man shot and killed. 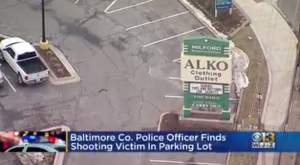 According to WBALtv.com, “an officer was flagged down by a civilian who directed the officer to a man who was lying down in the parking lot of a carryout business in the 8000 block of Liberty Road.” Baltimore.CBSlocal.com is reporting, “[t]he victim, who was identified as Artis Dewayne Holt, appeared to suffer from multiple gunshot wounds. He was pronounced dead at the scene.” The news outlets report the suspect left the scene before police arrived. What security measures, such as bright parking lot lighting, surveillance cameras, and security patrols, were in place to deter crime and protect Mr. Holt at the time of the shooting? Generally, property owners are required to protect all those legally on the premises from any foreseeable harm. 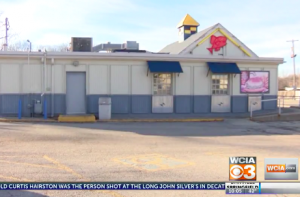 Should the facts of this matter reveal that the restaurant owners failed to provide adequate security to protect those on its premises, the family of Artis Holt may seek justice and elect to pursue legal claims for their loss. Based upon its prior successful experience in handling security negligence claims on behalf of victims and their families, The Murray Law Firm suggests that photographs and a thorough, unbiased inspection of the property will need to be performed immediately, before any evidence may be repaired, damaged or destroyed. Given the complexities of pursuing a negligent security case, it is imperative that Mr. Holt’s family retain an experienced attorney who can ensure the preservation of any and all evidence that may support such a claim. Justice Available to Family? Jose Munoz, 25, Killed in Louisville, Kentucky Restaurant Shooting. Did a security failure contribute to the tragic loss of Jose Munoz and are justice and compensation available to Mr. Munoz’s family? 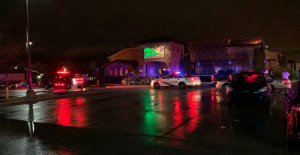 Security measures are under scrutiny after an altercation erupted in gunfire at a Louisville, Kentucky restaurant Saturday, February 23, 2019, killing one man. What security measures, such as bright parking lot lighting, surveillance cameras, and security patrols, were in place to deter crime and protect Mr. Munoz at the time of the shooting? Generally, property owners are required to protect all those legally on the premises from any foreseeable harm. Should the facts of this matter reveal that the restaurant owners failed to provide adequate security to protect those on its premises, the family of Jose Munoz may seek justice and elect to pursue legal claims for their loss. Based upon its prior successful experience in handling security negligence claims on behalf of victims and their families, The Murray Law Firm suggests that photographs and a thorough, unbiased inspection of the property will need to be performed immediately, before any evidence may be repaired, damaged or destroyed. Given the complexities of pursuing a negligent security case, it is imperative that Mr. Munoz’s family retain an experienced attorney who can ensure the preservation of any and all evidence that may support such a claim. Hard Times Sports Bar Shooting Leaves 1 Injured; Can Victim Seek Justice, Compensation? Did negligent security contribute to this senseless Commerce City sports bar shooting and are justice and compensation available to the victim? 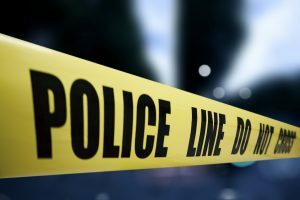 Security measures are in question after a man was shot and injured at a Commerce City sports bar Thursday afternoon, January 3, 2019. 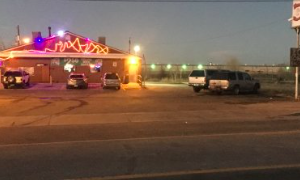 According to The Denver Channel, gunfire erupted shortly after 2:30 p.m. “at the Hard Times Sports Bar, located in the 6700 block of E. 80th Ave.” A male victim was transported to the hospital with injuries. His identity and current condition have not been released. Commerce City police have not yet revealed a suspect or motive, per KDVR reports. Generally, property owners are required to protect all those legally on the premises from any foreseeable harm. Should the facts of this matter reveal that the bar owner failed to provide adequate security to protect those on its premises, the victim may seek justice and elect to pursue legal claims for his injuries. Raymond Eldridge II Killed in Dover Restaurant Shooting December 18, 2018; Justice Available to Family? Did negligent security contribute to the senseless loss of this young man and are justice and compensation available to Raymond Eldridge’s family? Security measures are in question following the fatal shooting of 34-year-old Raymond Eldridge II, who was fatally shot outside a Dover restaurant Tuesday, December 18, 2018. 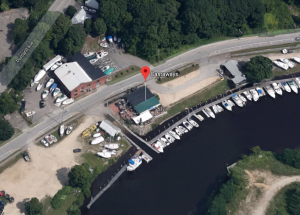 According to WMUR, gunfire erupted “outside Castaways Restaurant & Lounge at 31 Cocheco St.” around 10 p.m. Mr. Eldridge succumbed to fatal injuries. Restaurant and parking lot patrons have a right to feel safe and secure while on the premises. The Murray Law Firm questions the level of security provided at the lounge and whether this shooting may have been prevented. What security measures, such as weapons screenings, monitored surveillance cameras, bright parking lot lighting, and visible security personnel, were in place to deter crime and protect Mr. Eldridge at the time of the shooting? Generally, property owners are required to protect all those legally on the premises from any foreseeable harm. Should the facts of this matter reveal that the restaurant or parking lot owners failed to provide adequate security to protect those on its premises, the family of Raymond Eldridge II may seek justice and elect to pursue legal claims for his wrongful death. 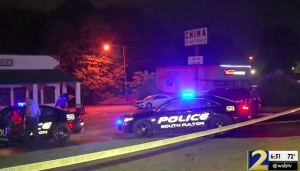 Curtis Hairston Killed, 1 Injured in Decatur Restaurant Shooting; Was This Tragedy Preventable? Did negligent security contribute to the tragic loss of this young man and are justice and compensation available to Curtis Hairston’s family? Community leaders are calling for peace after 18-year-old Curtis Hairston was tragically killed inside a Decatur restaurant Friday evening, January 4, 2019. According to the Herald & Review, gunfire erupted inside “Long John Silver’s, 701 W. Eldorado St.,” shortly before 6 p.m. Mr. Hairston was transported to the hospital, where he succumbed to fatal injuries. A second victim was “airlifted to HSHS St. John’s Hospital” with “life-threatening” injuries. Police have not yet announced a suspect or motive, per WCIA 3 reports. Restaurant patrons have a right to feel safe and secure while on the premises. The Murray Law Firm questions the level of security provided at the apartment complex and whether this shooting may have been prevented. What security measures, such as weapons screenings, monitored surveillance cameras, and visible security personnel, were in place to protect Mr. Hairston? Generally, property owners are required to protect all those legally on the premises from any foreseeable harm. Should the facts of this matter reveal that the restaurant owner failed to provide adequate security to protect those on its premises, the victim’s family may seek justice and elect to pursue legal claims for their loss. Additionally, the surviving victim may pursue legal claims for injuries.